Posted on May 8, 2016 May 13, 2016 by Dream On, As IF! My parents held a reception at a gorgeous hotel we’ve passed by on the freeway and always wanted to visit, The Grand Hotel Taipei. It was great seeing friends and family and a lovely start to our trip. 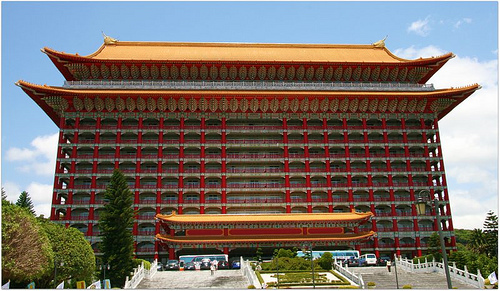 (Picture on the right is not the hotel; it’s Zhi Nan temple again).